A Teacher without a Class: It's Time to Give Thanks! I love Jack Prelutsky's poetry! 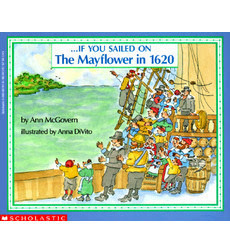 When I taught second grade, we had a poem book--his poems were always a favorite! Here is one I enjoyed from his book. and so there's turkey on my plate. 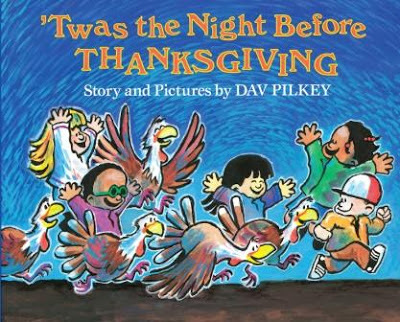 Well, the turkeys from this turkey farm couldn't anticipate Thanksgiving coming, but the children on the field trip anticipated the great day! 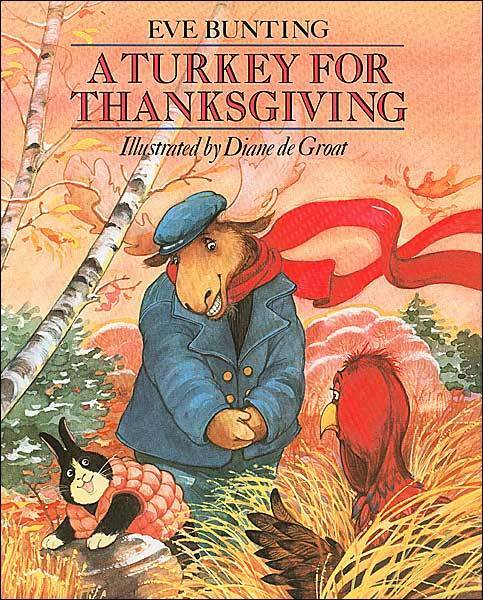 The elementary children saved the Turkeys from their fate! Now, this turkey thinks he is special--even better than all the chickens because he is invited to a grand feast. He doesn't realize that he is the main course. I love this sweet book. They invite the turkey to enjoy Thanksgiving with them. Turkey keeps hiding and running away because he thinks he will be the main course! I love this book!!! Thanksgiving is...... my favorite holiday. Well Gail didn't write that sentence, but she wrote many more. 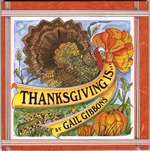 It is a great mentor book for students to write a sentence about Thanksgiving. Then they can add supporting details! I made this writing sheet. 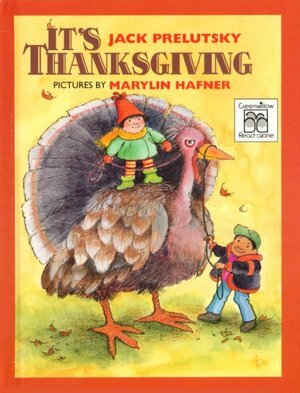 First, the students could write a sentence: Thanksgiving is . 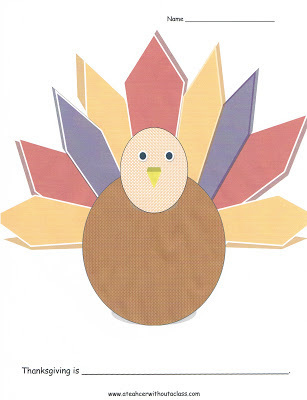 . . Then, the students could add some supporting details or adjectives in the feathers. 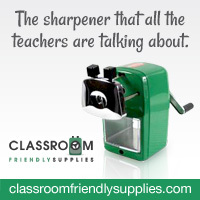 As a teacher, you could decide how many feathers each student could fill--or none at all! I love the wonderful nonfiction that is available to young students! It might be fun to do a comparison to then and now! 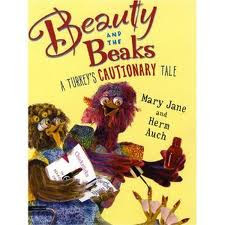 I think this book would be great for upper primary grade read aloud--or lower grades! 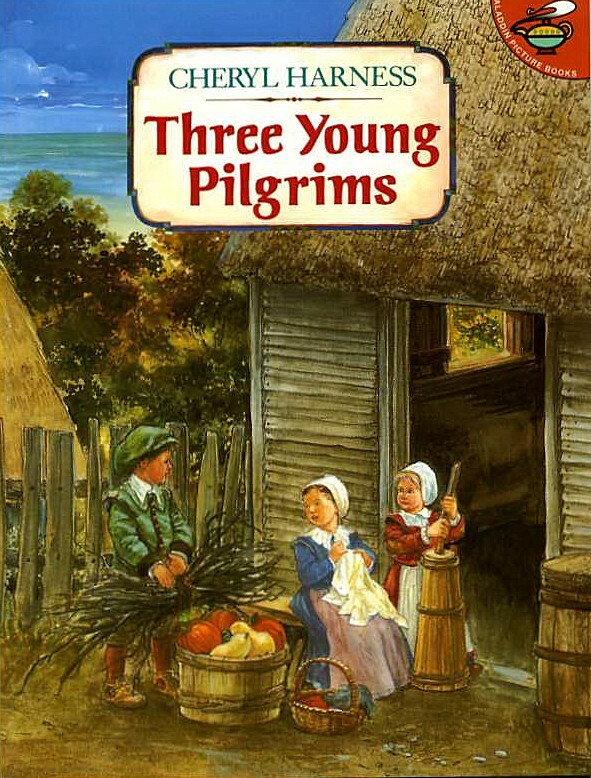 I love this book because it is about children. 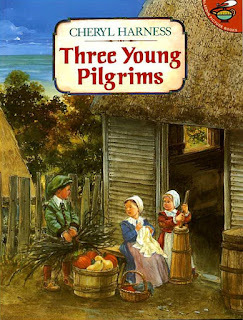 The most exciting aspect of this book: I learned I am a descendant of one of the young pilgrims in this book. So that might not be exciting for your young students, but it is exciting for me! First Grade Found Me has a linky party. 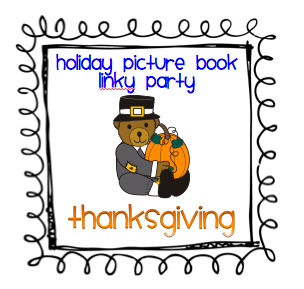 So link up--or just browse to get other great ideas for Thanksgiving books. I love Jack Prelutsky too! I'll have to look for that book. It will fun to look for some of the other books too. The only one I already have is the Eve Bunting book- I love that story!